- The First Ice Cream? - Tip Top Ice Cream Co.
- Food or Dairy Product? 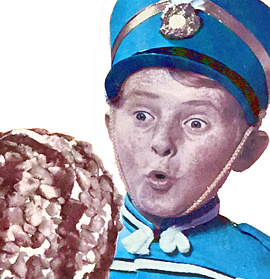 - A list of more than 100 ice cream brands that have disappeared over the years. - A Christchurch brand that was active from the 30s to the 60s. - Fondly remembered by those who grew up in Devonport in the 40s and 50s. 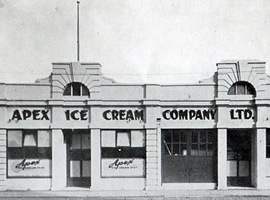 - A Christchurch institution since 1903. 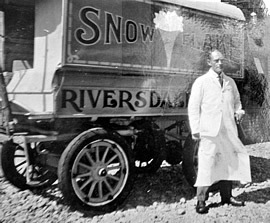 - The Waikato's first ice cream manufacturer, established 1922. 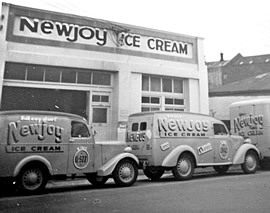 - Christchurch's biggest brand from the 30s through to the early 60s. 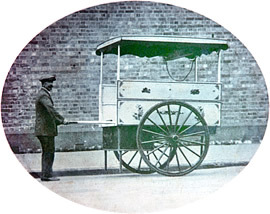 - Phantazzi, Newjoy, Manda & Deep South ice cream brands - all part of the Simon family legacy. - The iconic national brand built by a legendary baker. - A Hawke's bay legend that started out in Auckland. 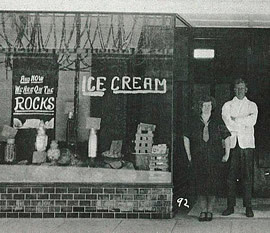 - For over 80 years, the favourite treat of West Coasters. - One of Nelson's favourites from the 40s and early 50s. 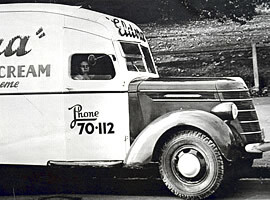 - The incredibly complex story of how ownership of some famous trans-Tasman ice cream brands evolved. Devonport Historical Society and Museum collection. From ice to refrigerators, by Nigel Isaacs. BUILD magazine. Massey family - personal communications. Nga Taonga Sound & Vision. 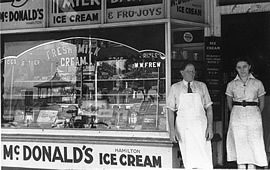 NZ Ice Cream Manufacturers Assn. 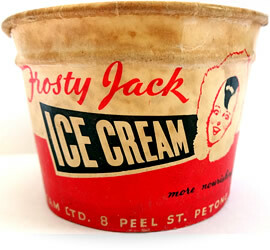 archives - ' The Frostee Digest', journal of the NZ Ice Cream Manufacturers Association, 1941-1972. New Zealand Ice Cream Manufacturers' Association (NZICMA) Oral History Project; held at NZICMA archives and Alexander Turnbull Library. - Shona McCahon, Oral historian. Till the Cows Came Home, Clive Lind, Steele Roberts. Web designer and NZICMA website custodian. 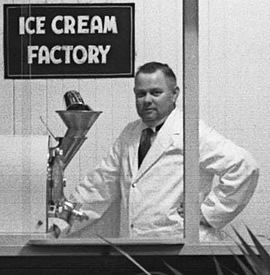 A food technologist who has been in and around the ice cream industry, and involved with the NZICMA, for over thirty years, initially in product development, then supplying ingredients and providing technical service, and later, building and maintaining websites for ice cream manufacturers and ice cream consultants. Special thanks to Jenny and Karen at the NZICMA executive office, Shona McCahon, Darian Zam, Steve Williams, Rod Dennis and the many individuals and organisations who have generously provided information and material, and permission to reproduce photos, signage, packaging and graphics. Sources for individual items are identified wherever possible. Please let us know if any are incorrectly credited or captioned. 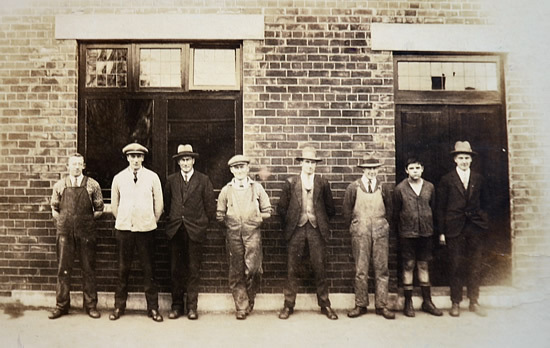 Wherever possible, permission has been obtained for the reproduction of photographs and images in this publication, but in all cases, ownership remains with the individuals and organisations credited in the associated captions. Images are not the property of the NZICMA. For permission to reproduce any image, please contact the credited owner. All written content however is copyright © of The New Zealand Ice Cream Manufacturers Association (Inc.,), PO Box 9364, Wellington, NEW ZEALAND. 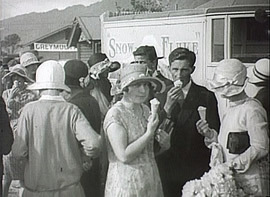 Crowd eating Snowflake icecream at the 1930 Greymouth A&P Show. Still from newsreel film, "The Greymouth Gazette", by L. Inkster, 1930. - Nga Taonga Sound & Vision.